Sorry, no review of Tom Clancy's Splinter Cell: Double Agent yet. Veteran agent Sam Fisher is back. But he's never faced an enemy like this before. To stop a devastating terrorist attack, he must infiltrate a vicious terrorist group and destroy it from within. 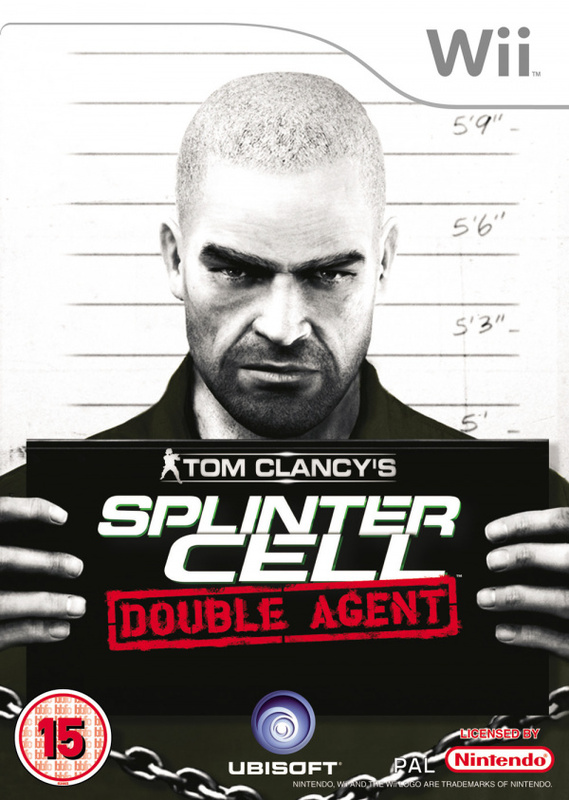 For the first time ever, experience the relentless tension and gut-wrenching dilemmas of life as a double agent. As you infiltrate a terrorist organisation in its American headquarters, you must carefully weigh the consequences of your actions. Kill too many criminals and you'll blow your cover. Hesitate too long and millions will die. Do whatever it takes to complete your mission, but get out alive. Dual objectives to fulfill: NSA government agents and terrorists will each want you to accomplish opposing tasks at the same time. Discover the tension of being a double agent: Use actual tactics employed by today's real-life double agents to sabotage the terrorists' plans. Explore a branching storyline with multiple endings: Your choices have an impact on how the story and gameplay unfolds. A world of international espionage: Missions from all over the world, from Asia to Africa to the heart of the U.S. Experience extreme situations: underwater or in a sandstorm, hiding behind the dust or smoke – and even skydiving. New authentic gadgets: Master the latest weapons and gadgets used by NSA government agents in addition to black-market terrorist weapons. I love all Splinter Cell games so far, except this one. They introduced an alignment system, in which the main character have to chose to follow orders from the NSA or the terrorists and try to create a balance in between keeping his cover and catching the criminals. It is a nice idea but poorly implemented. Any action will change your status, disregarding the fact it wouldn't be noticed by one of the two parties, which is pretty much stupid. Add to the poor visuals, much inferior to the previous game in the series, make this a pass.